Tomic is projected to rise to around number 77 in the world and looks to have safely secured automatic entry to next year’s Australian Open, a tournament he failed to qualify for in 2018. 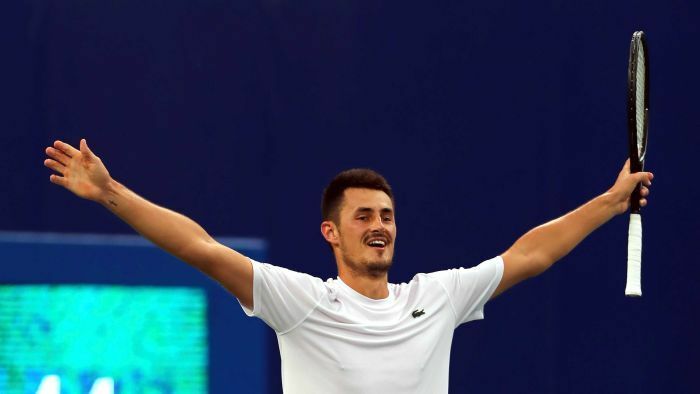 A major outsider against the top-seeded Italian, Tomic consistently frustrated his opponent with excellent ball placement and a surprising willingness to stay in points. Tomic raced through the first set 6-1 before the Italian found his feet in the second to level the match. The third set became an arm wrestle: Fognini breaking to start the decider before Tomic won the next three games. Fognini then levelled again. From there the match stayed on serve with Fognini seemingly grabbing control of the tiebreak when up 6-3 on serve. But showing a new found resolve, Tomic battled back with two service breaks before eventually serving out the match. It was the fourth title of his career and first since Los Cabos, Mexico, in 2015.